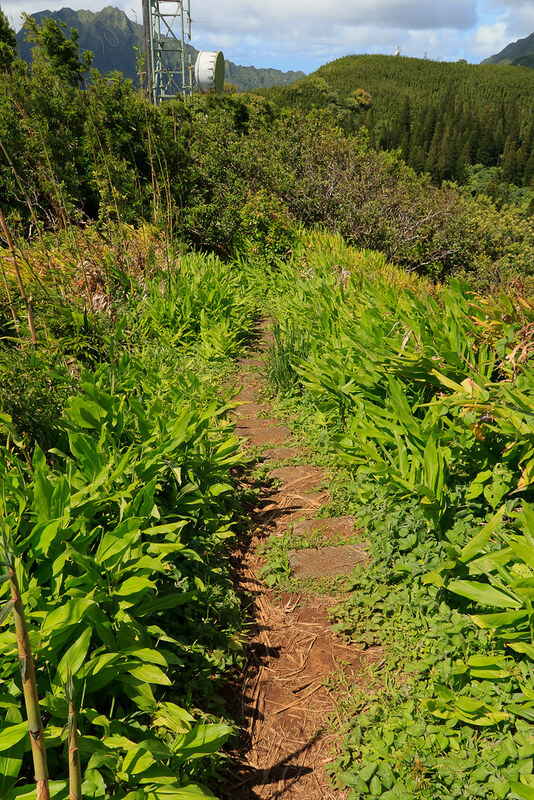 Headed up Tantalus for a short hike and ramble around the network of trails intertwining the Tantalus area. 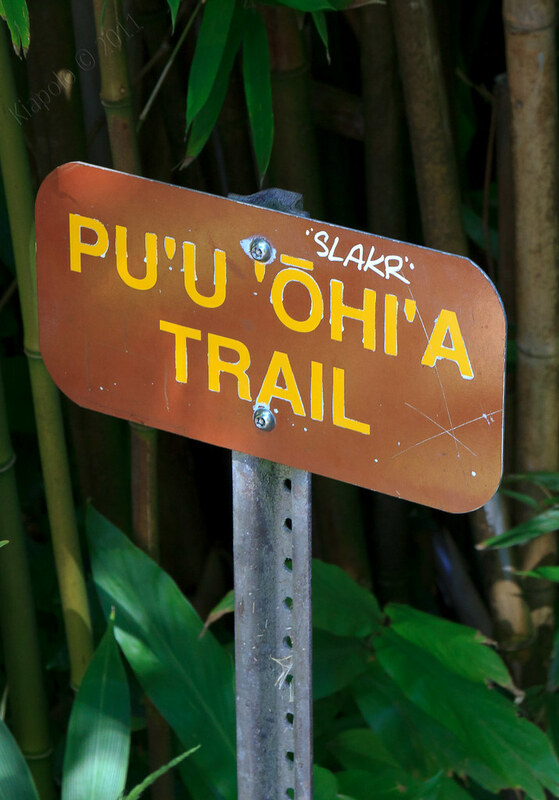 Officially the State calls the trails the "Honolulu Mauka Trail System." 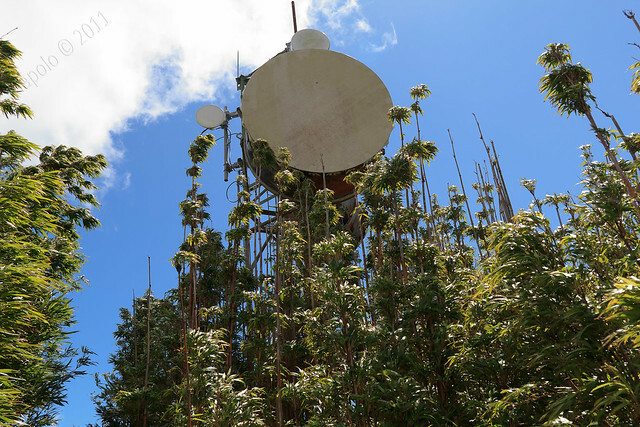 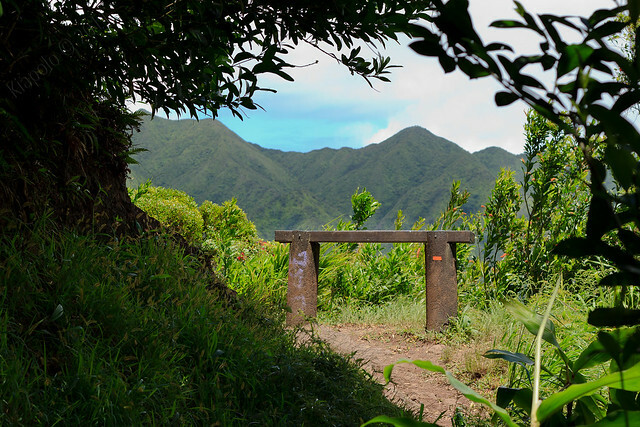 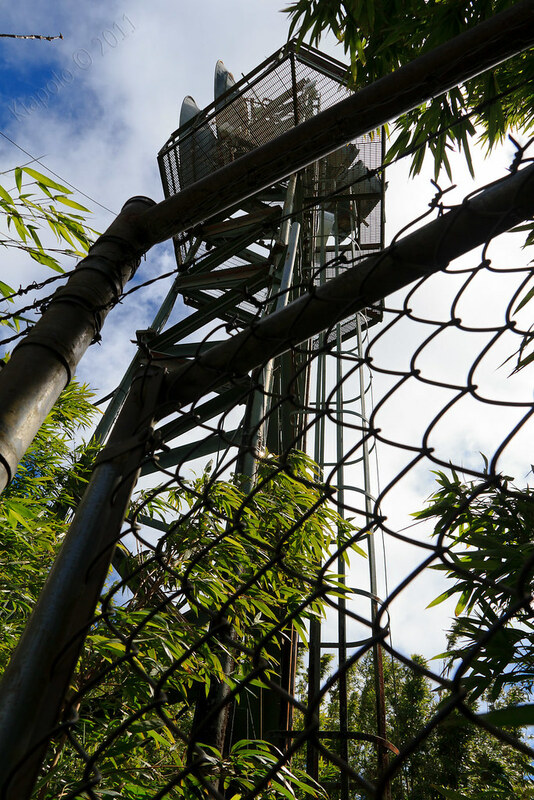 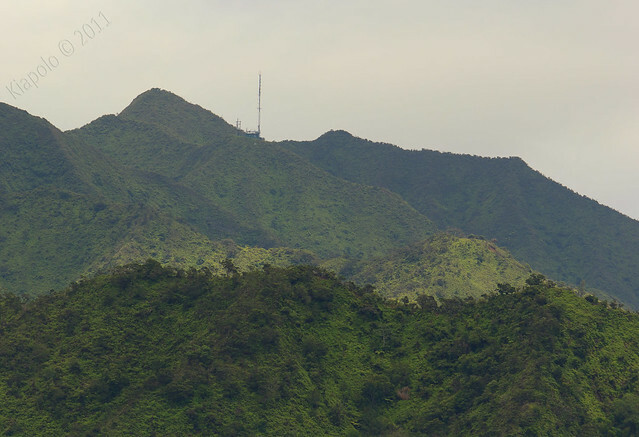 The Honolulu Mauka Trail System is made up of 18 official trails in the Ko`olau above Makiki and Manoa. 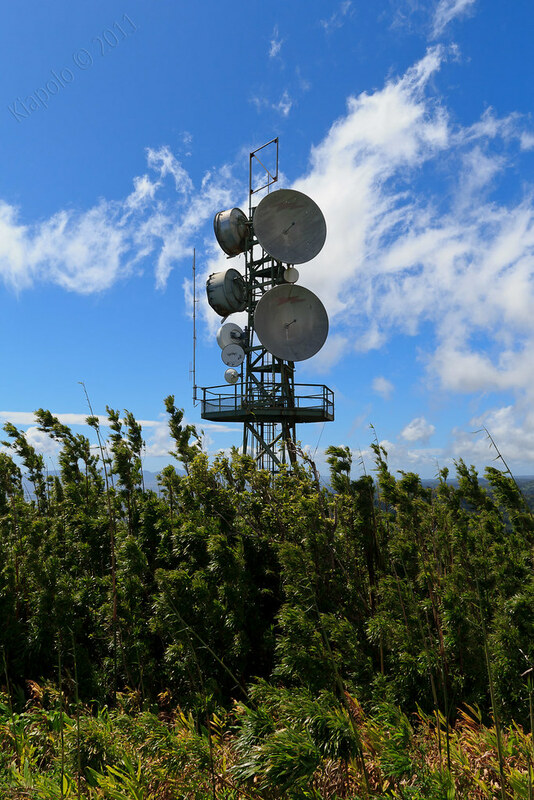 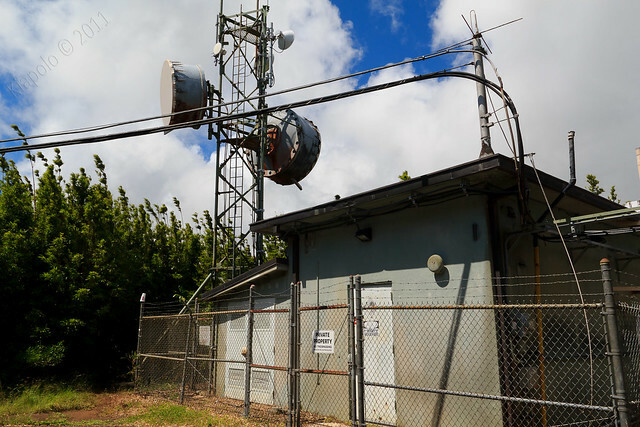 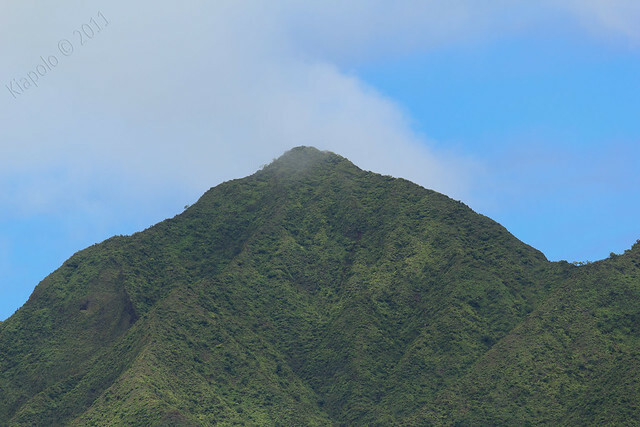 Today I headed up Tantalus and planned on hiking a short loop, up the Manoa Cliffs trail to the junction of the Pu`u 'Ōhi'a trail, continue up to the top of Pu`u `Ōhi`a then down the Pu`u `Ōhi`a trail to Round Top Dr., then along the road back to my car at the Manoa Cliffs trail head. 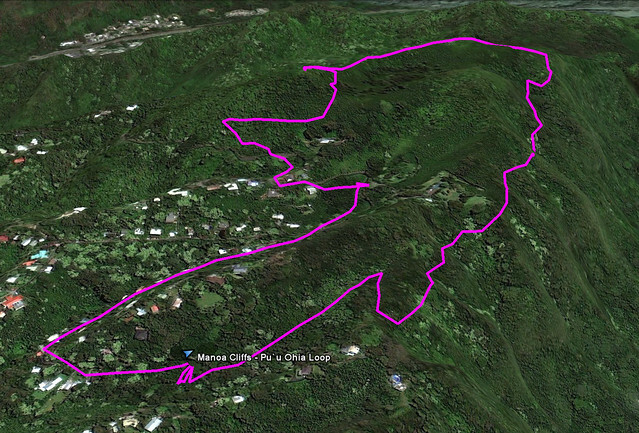 It was a relatively short 3.5 mile loop. 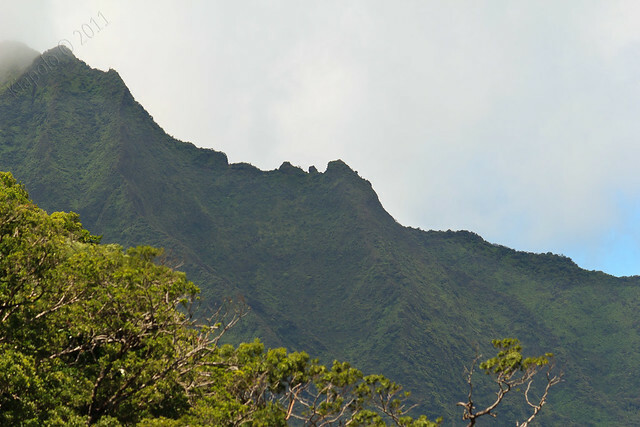 Back in 1995 I completed my Eagle Scout Project on the Manoa Cliffs Trail. 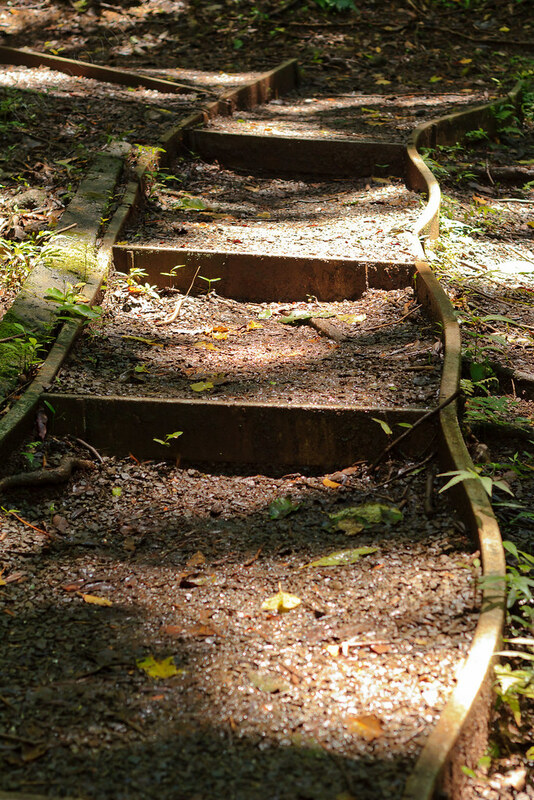 The faux wood and gravel steps and pathways at the first incline section (just past the big rock) were done by myself and a crew of friends and family way back in March 1995. 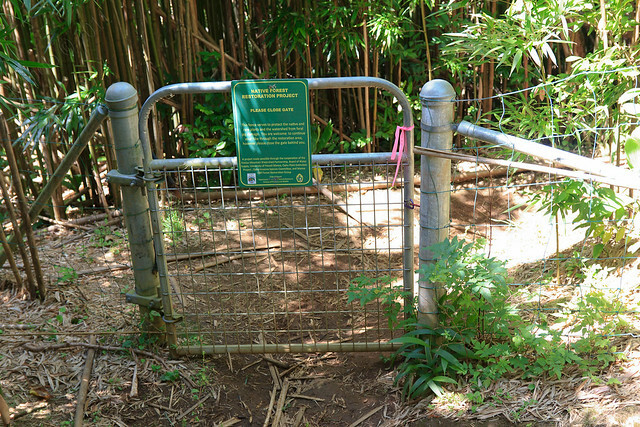 Today was the first time I ventured past my Eagle project on the Manoa Cliffs trail. 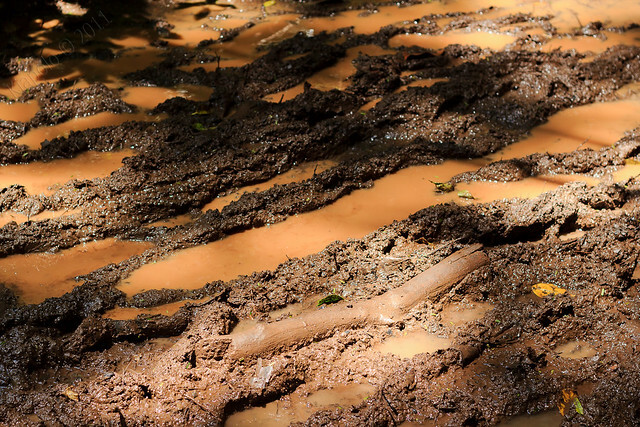 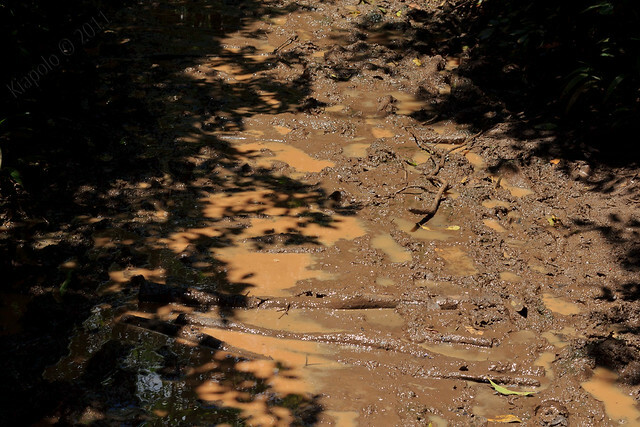 The trail, like every other trail on Tantalus, is constantly wet and very muddy. 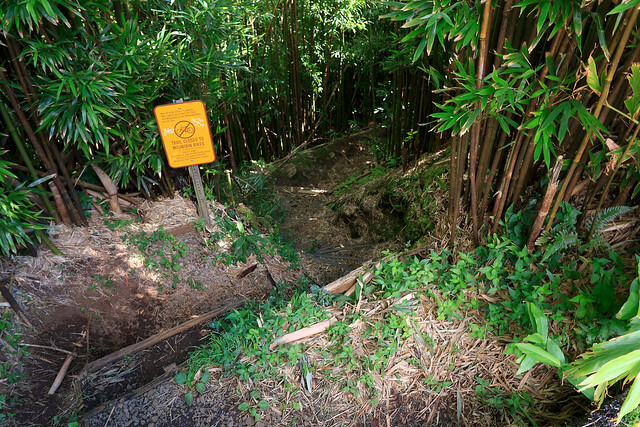 Thankfully DLNR does a great job of maintaining these trails. 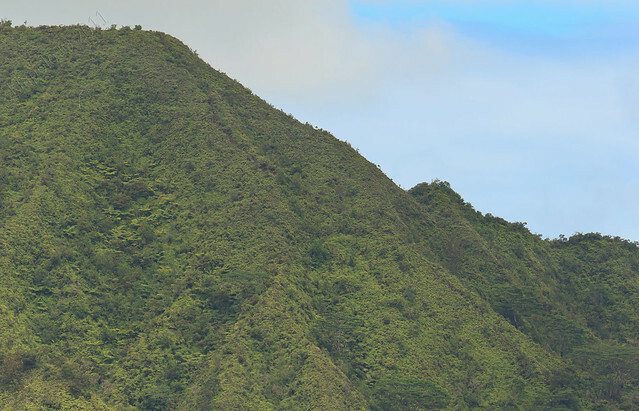 Kalawahine and Pauaoa Flats trails on the other side of Tantalus. 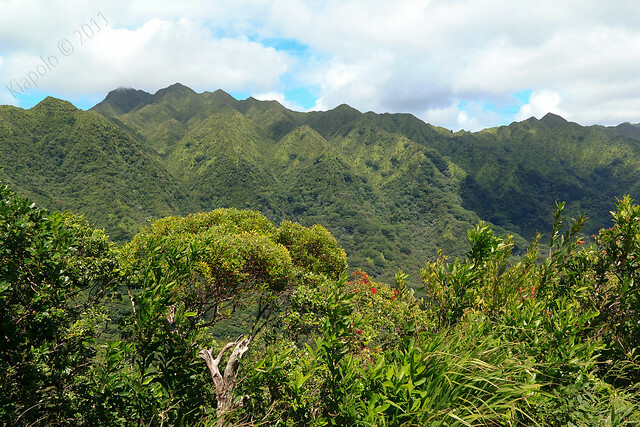 Both Kalawahine and the Pauaoa Flats trails offer little views. 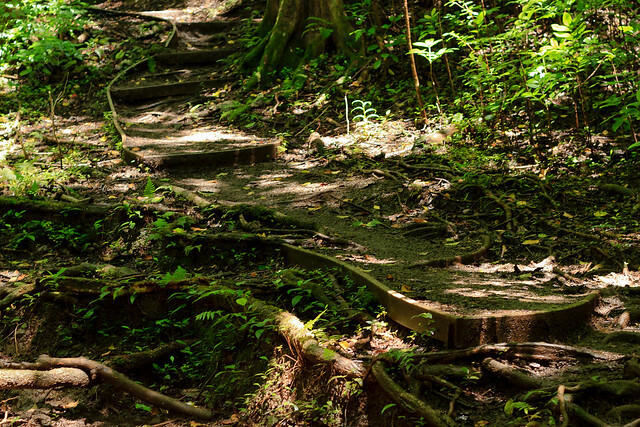 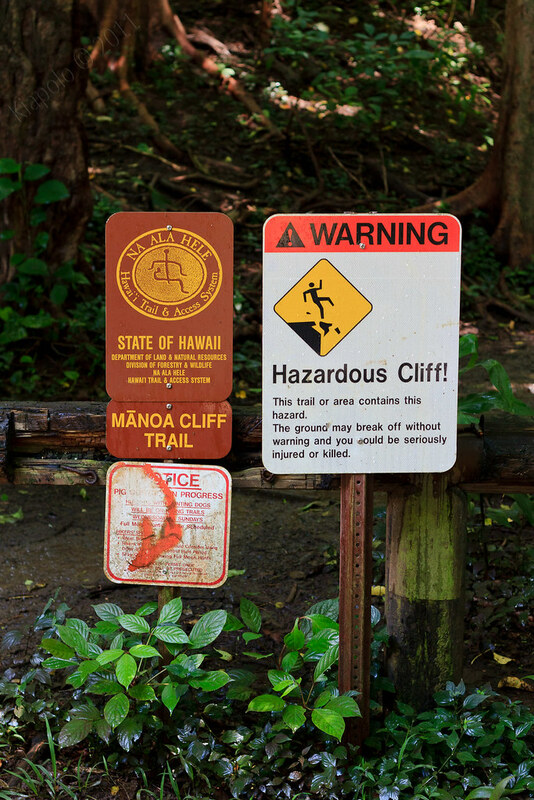 The Manoa Cliffs Trail is the complete opposite. 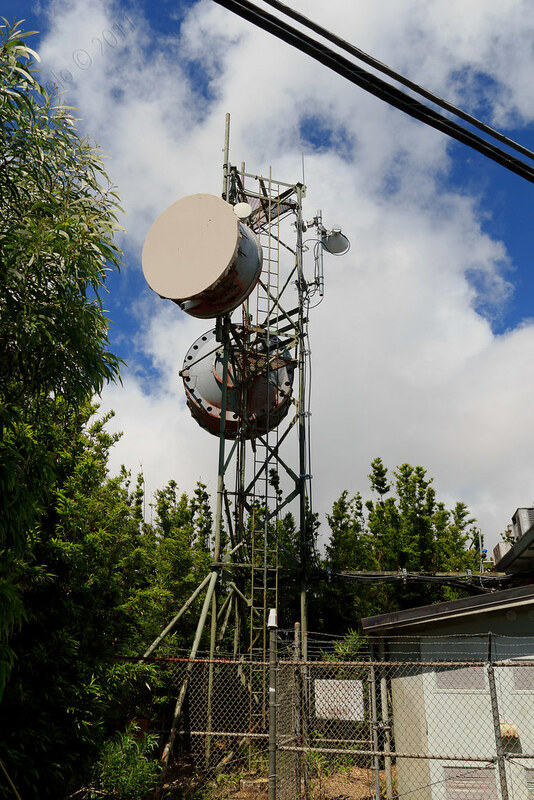 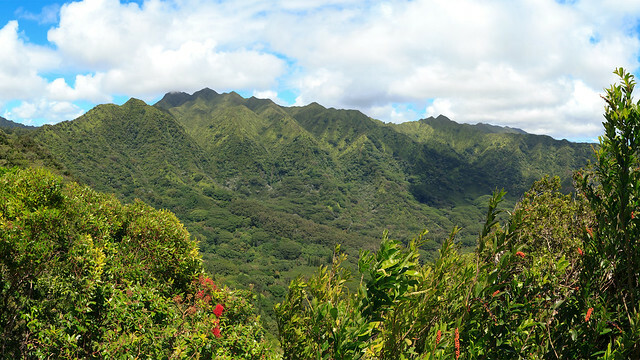 You are quickly rewarded with expansive views of the back of Manoa valley and the Ko`olau Summit. 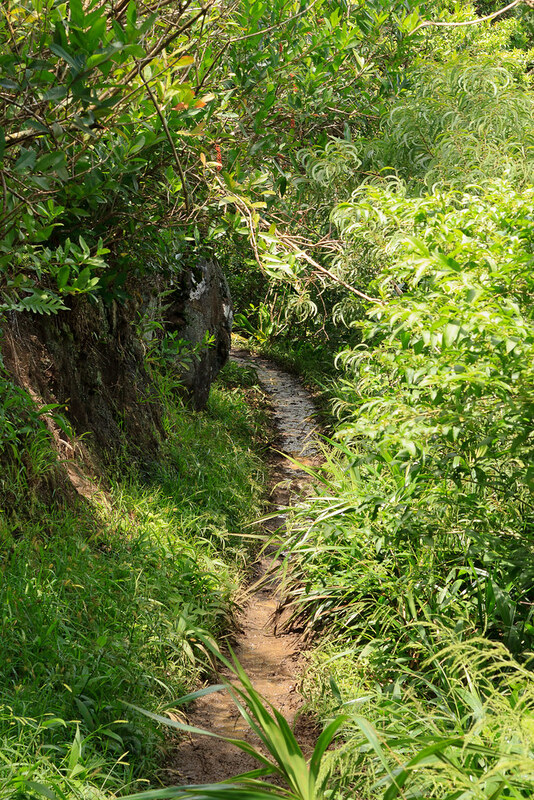 There is a nice bench along the way to sit and take in the views. 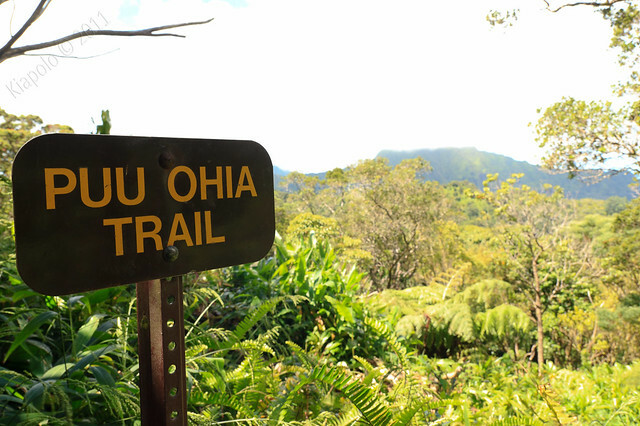 The Manoa Cliffs Trail junctions with the back of the Pu`u `Ōhi`a Trail. 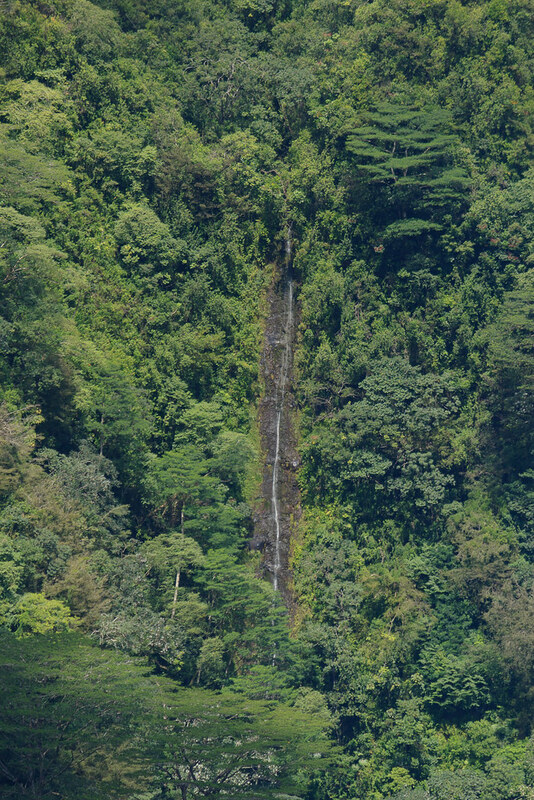 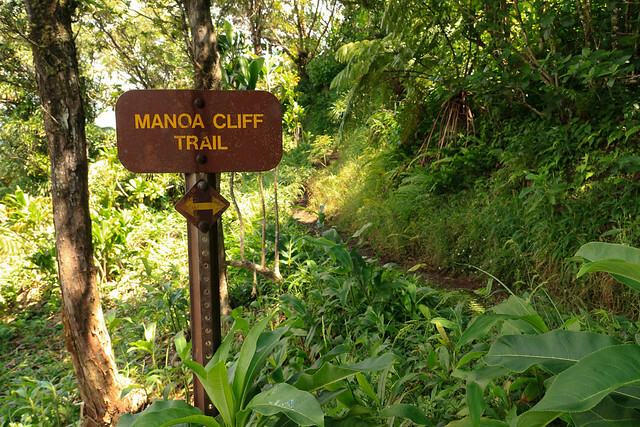 The Manoa Cliffs Trail continues on and eventually leads to the Pauaoa Flats Trail. 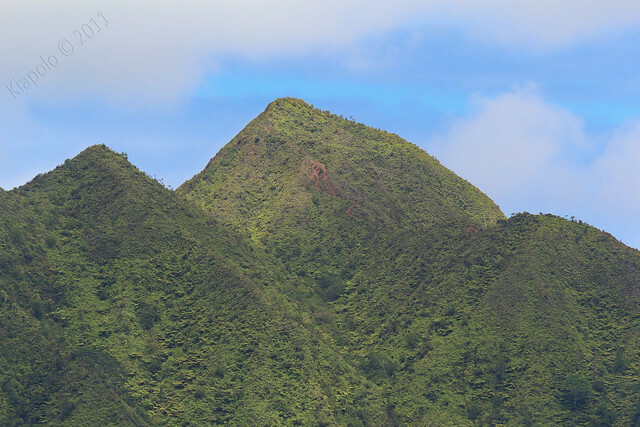 I would be heading up the Pu`u `Ōhi`a trail to the top of Pu`u `Ōhi`a. 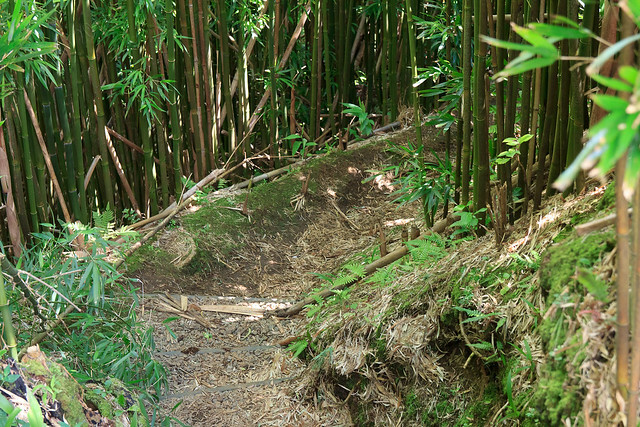 You pass through a gate and the trail continues up Pu`u `Ōhi`a through some think bamboo forest. 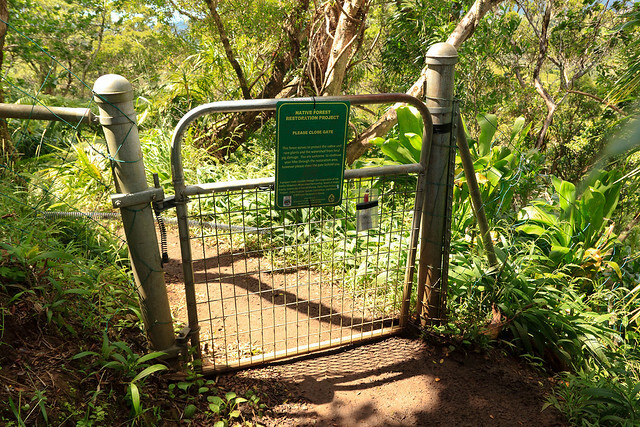 After a couple hundred yards there is another gate, and you are at a building and tower and the end of the access road. 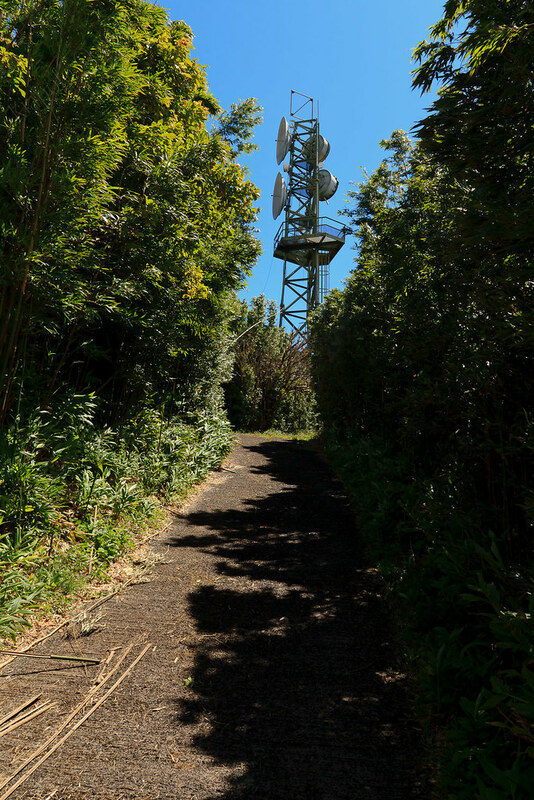 From the old tower the trail follows the access road to another taller tower, one that you can see from nearly everywhere along the southern O`ahu coast. 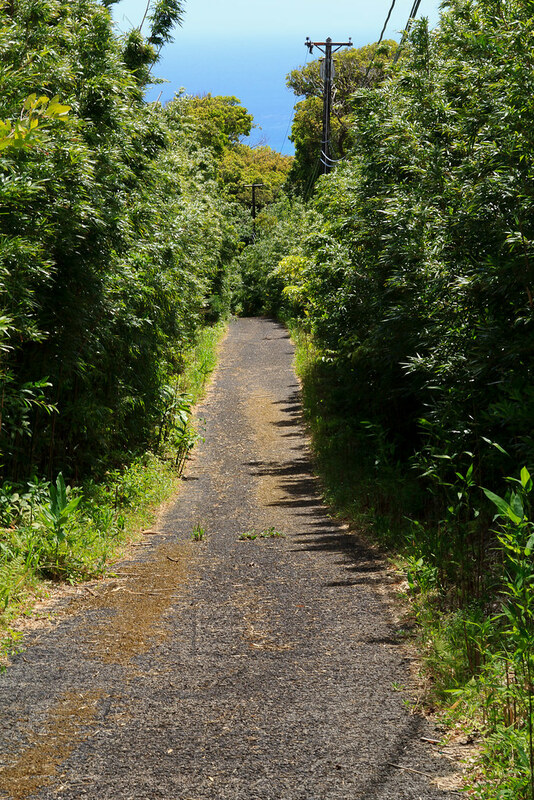 Past the tower is a trail leading to the summit of Pu`u `Ōhi`a. 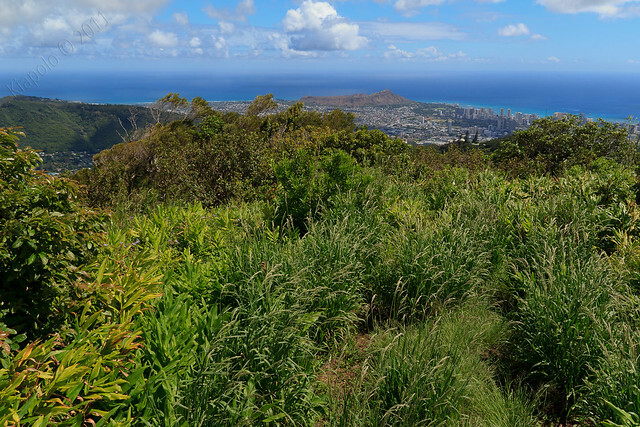 From Pu`u `Ōhi`a there is an impressive panorama of Honolulu from Diamond Head and the southern spine of the Ko`olau all the way up the Ewa plain and the Wai`anae Mountain Range. 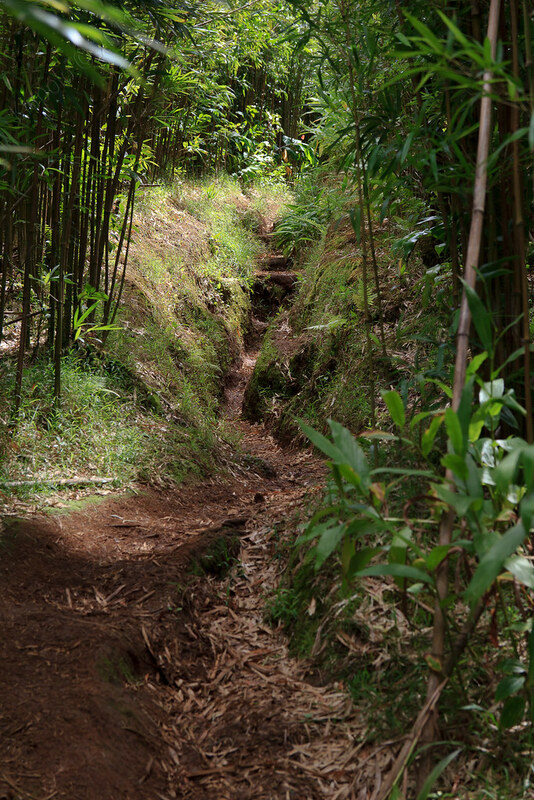 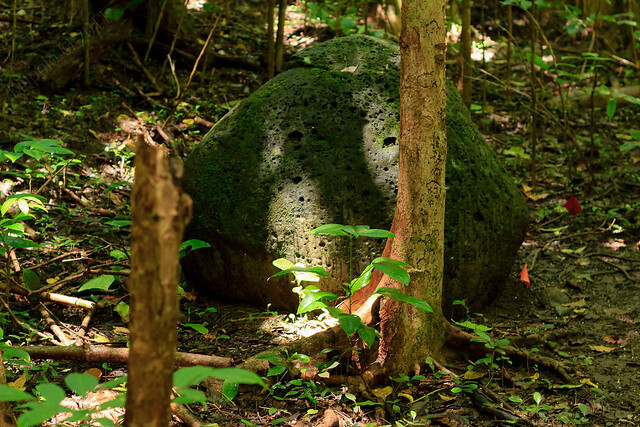 The Pu`u `Ōhi`a trail picks up again just off the side of the access road. 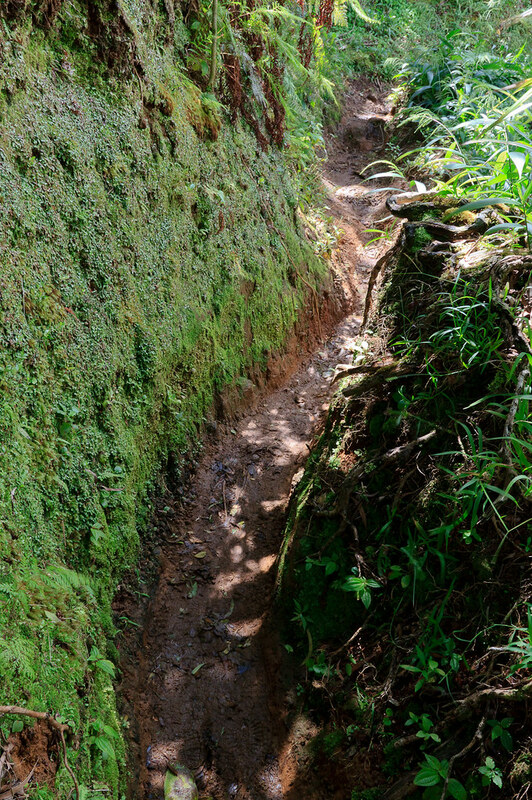 The trail plunges down Pu`u `Ōhi`a back to Round Top Drive. 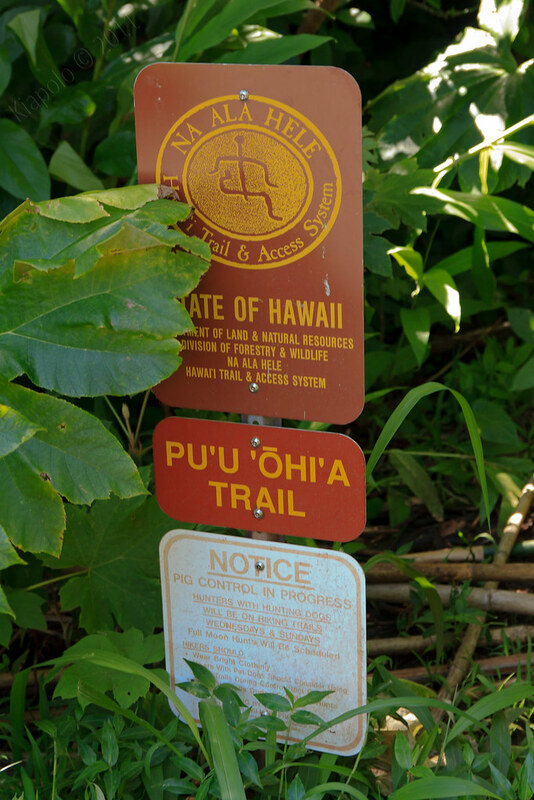 Pu`u `Ōhi`a trail head on Round Top Drive. 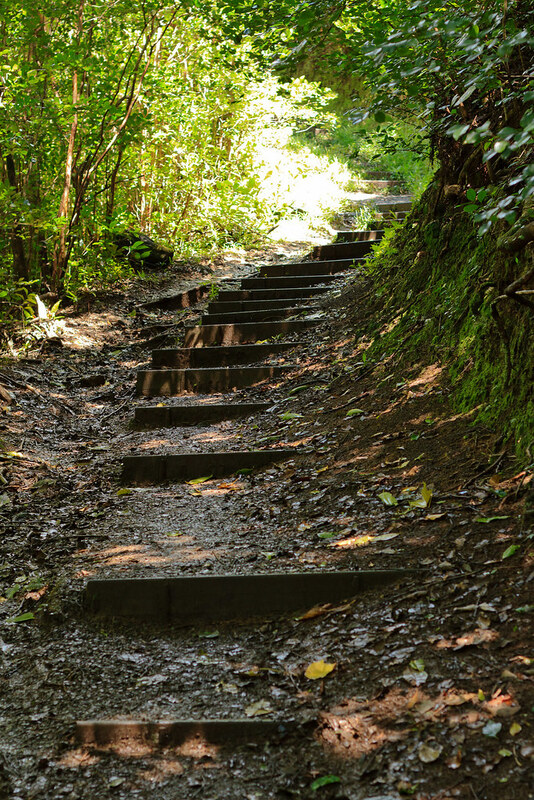 From the trail head its a mile walk along Round Top Drive to the Manoa Cliffs trail head. 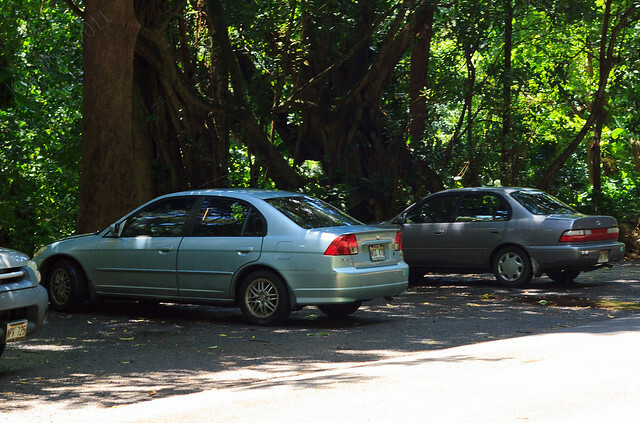 Thankfully the car was still there and in one piece!